2nd Annual Coastal Magic Convention Halloween Flash Fiction Blog Event Kickoff!! 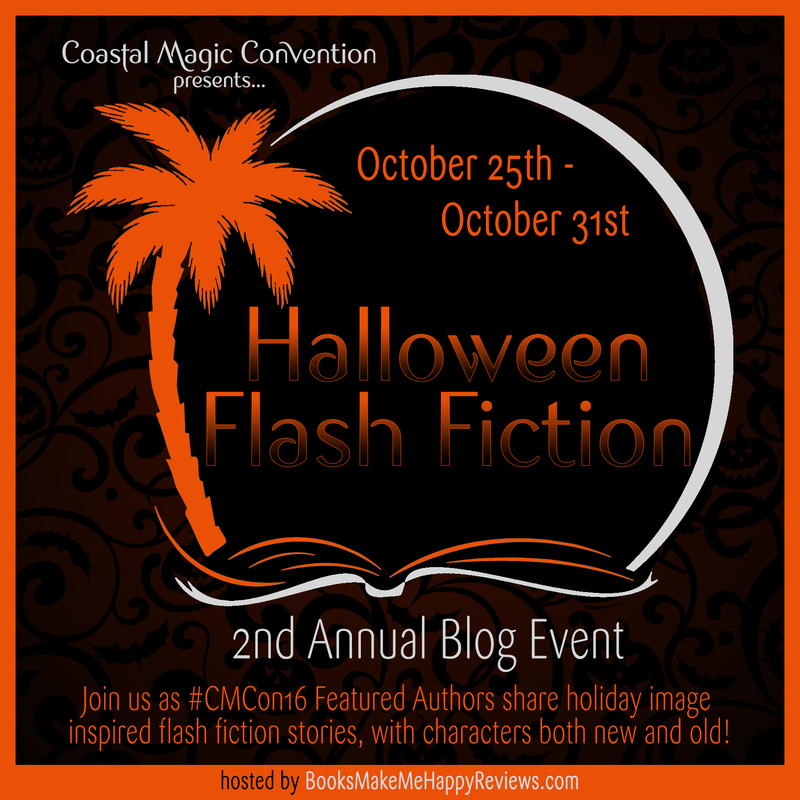 I’m so excited that the Coastal Magic Featured Author Halloween Flash Fiction Blog Event is back!! We had so much fun with this last year! Each day this week, I’ll be sharing the posts from Books Make Me Happy (my book blog site), which will include brand new short fictions from some of our fantabulous Featured Authors. Some of the stories connected to existing books/series, and some are standalones. All are inspired by images from some talented creators at DeviantArt.com. Oh, and there are giveaways for EVERY POST! Here’s the “kickoff” post, with all the details, including the schedule and list of participating authors. I hope you enjoy them!! Source: 2nd Annual Coastal Magic Convention Halloween Flash Fiction Blog Event Kickoff!! ← Coming Oct 25th-31st: Halloween Flash Fiction Event with #CMCon16 Featured Authors!